It is important to start preparing for retirement early to avoid being tragically unprepared when the time comes. In the process of retirement preparation, it is also important to note the retirement mistakes most commonly made. Most people decide to move to a more rural setting when they retire, because they consider it quieter and more relaxed than the city life they’ve had. Some also do it to be closer to their families. However, the mistake most people make is not knowing the area they are moving too well, so what was intended to be a relaxing getaway becomes a stressful experience that defeats the point of relocating. Rather than relocating immediately to a new place, first rent an apartment in the area and get a feel of the place for at least a year. If you are satisfied with your experience then you can consider buying property there and relocating completely. A lot of people spend time trying to figure out what to do with their money after retirement, but few people think of what to do with their time. If you don’t have a plan on how to spend your time after retirement, it can make the process a bit more difficult, because you might find yourself feeling useless and even depressed about it at some point. Try to find a hobby or side job that you enjoy, that won’t be too stressful or place too much of a demand on you, and use it to occupy yourself after retirement. Don’t make the mistake of thinking you will automatically be happier after retirement, because boredom and the feeling of uselessness can easily taint that happiness. Most times, retirement is not what people actually want, even though they spend all their time dreaming of it, they actually just want to finally do something they can enjoy and have more control over. Though many retirees intend to spend less after retirement, they actually end up spending more in their first few years of retirement. This is mainly because of the excitement of finally ‘being free!’. You, therefore, see these retirees begin to do things they’ve always been ‘dying to do’ without really minding the cost. It is important for people to take note of this possible spending hike and use a budget to efficiently plan for it. You must stick to the budget and agree to let go of anything you know you won’t be able to realistically afford. It’s better to be responsible with your money and avoid regrets later. At some point, you need to ask yourself what exactly you are doing with four cars as a retiree. If you don’t have a good reason for keeping so many cars, you should sell the extra cars, hire someone to use the car for a cab business for you, or give them out to your children, grand children, friends etc. You should also consider that as you get older, walking instead of driving has added health and fitness benefits for you. This is why you should always have a retirement plan laid down. Typically, people underestimate the money they would need to comfortably live on after retirement. 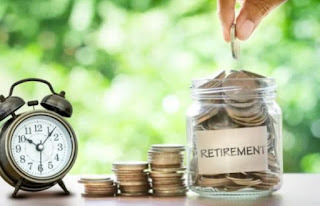 This is mainly because they don’t plan for retirement according to their spending habits; they instead plan with the belief that their spending habits would have been reformed by the time they retire, only to find out that is not the case. The general rule of retirement is to set aside 65 to 70% of your current household budget, then factor in every likely and possible expense you would ever incur, even if they seem far-fetched. You need to plan realistically and consider contingencies and unexpected costs.